It started late last year. After six 100-milers in 2016, for a total of 27 completed races of 100 miles or more in the past few years, I wasn’t feeling right. 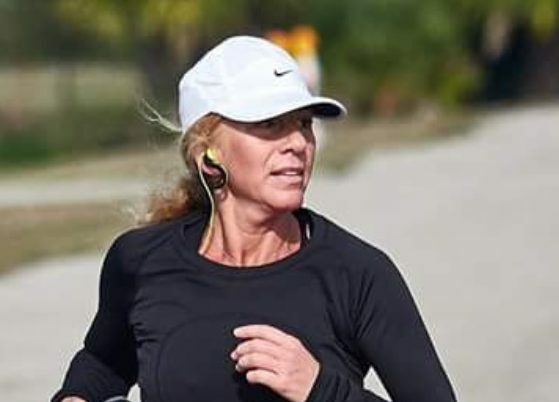 Sure, it sounds like common sense that I was due for a break, but in the past, the more I ran, the more energetic I felt, and the better I performed. Not this time, though. I was running sluggish and lazy; my legs felt like they were immersed in quicksand more often than not. 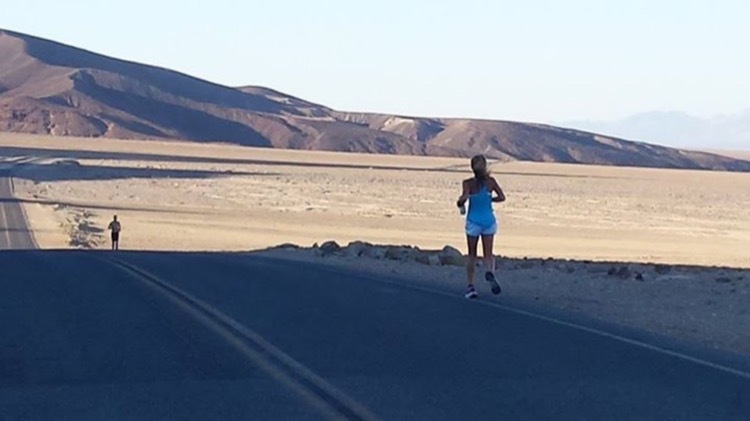 During a race in January, I clocked 106 miles of an attempted 150-mile race, and my breathing was unreliable. Every time I started to jog mid-way into the race, I had to stop and walk to catch my breath. After a point, it became easier to just walk. The advice from running pros and peers was all of the same ilk: you are over trained, you need to rest, take a few weeks off. So I did. The first three weeks of February 2017, I didn’t run. I practiced yoga, I went for walks. But at the end of three weeks, when I laced up my running shoes, while my mind was enthusiastic and excited to run, my body was still flat. Maintaining a 12- to 13-minute mile was a battle. My breathing was short and choppy whether I attempted to run two miles or ten. I read every article I could find on Overtraining Syndrome. I had some of the symptoms—frequent respiratory infections, shortness of breath—but I wasn’t convinced. I kept at it the best I could, and was grateful for my daily yoga practice. At least on the yoga mat, my physical inadequacies were not blaring. As the weeks progressed, I felt worse—foggy and faraway. I persisted at training, but was beginning to feel like a shell of myself. My Saturday long runs became dreaded outings. There were days that mid-jog, I felt my eyes closing. I wanted to lie down and sleep. The endurance and speed were non-existent. In April, due to swollen glands and a stiff and aching neck that made it hard for me to turn my head, I went to my internist. I was in tears when I told him I felt terrible, had fever off and on, and persistent swollen glands for the past three weeks. I had been holding it all together, but I felt myself crumbling. After a short stint on antibiotics for a respiratory infection—during which I felt great—it was time for blood work. I had been due for my yearly checkup/annual blood work in January, but had put it off due to work and life. The blood work results led to a call from my internist with some not-so-good news. I was anemic, and had hyperthyroid, amongst some other issues, which he attributed to my thyroid imbalance. I met with an endocrinologist, who sent me for more detailed blood work, an ultrasound, and a thyroid uptake. Based on the test results, her diagnosis was that I had thyrotoxicosis, possibly caused by a virus (not Grave’s disease), which was causing my thyroid to produce too much thyroid hormone. I was put on iron to alleviate the anemia, and beta blockers to protect my heart, which goes into abnormal heart rhythms (tachycardia and atrial fibrillation) from overstimulation of the thyroid. The rapid heartbeats that I experienced throughout the day unsettled me. More often than not, I felt as if I had drunk 10 cups of coffee (which I do not), but then I was exhausted and irritable all at the same time. After a few days on iron and beta blockers, I began to feel somewhat calmer. I still have highs and lows—I am upbeat, followed by exhaustion—but at least now I understand why. Of late, I have had some calmer runs in which I was able to maintain a steady pace and not have to stop and catch my breath every few minutes. I feel ridiculous to keep trying, and driven at the same time. I am showing up daily as that is how I choose to live my life. We are of the flesh. We get sick. Stuff goes wrong at times. There are always going to be obstacles. Our bodies are resilient, but perhaps our minds are more so. It is difficult to persist when you don’t have all of the answers and the mystery of your life is unfolding before your eyes, but perhaps this is what it is to be human. Will I ever let myself go for months again feeling lousy without getting it checked out? No. 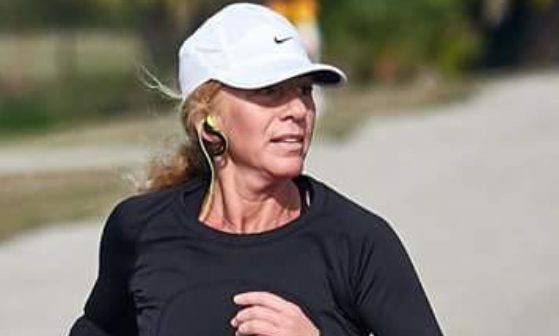 As my internist noted: “Different doctors will offer different diagnoses, but your blood work will always tell the truth.” Yes, running long and far and racing often has symptoms that are similar to some unpleasant health issues. It gets confusing to tell the difference between being exhausted from training/racing and being tired due to illness. But it takes a few hours to check it out and get answers, and then create a plan towards recovery, so that we get to enjoy the miles ahead. Thanks for sharing, hope you’ll be better soon!